Mengak, L., A.A. Dayer, R. Longenecker, and C.S. Spiegel. 2019. 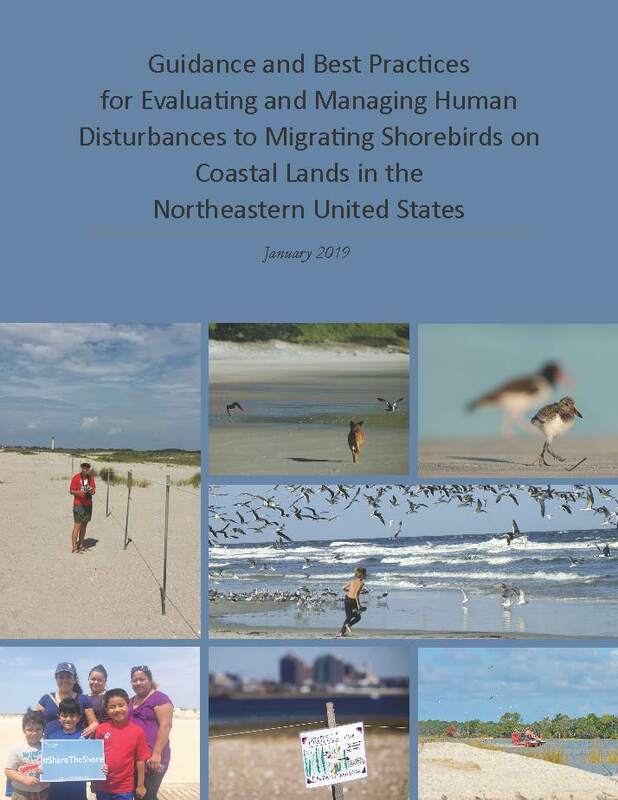 Guidance and Best Practices for Evaluating and Managing Human Disturbances to Migrating Shorebirds on Coastal Lands in the Northeastern United States. U.S. Fish and Wildlife Service. Managers recognize human disturbance as a serious threat facing shorebirds throughout their annual cycle. Yet, most of the current research and management of human disturbance on shorebirds focuses on the breeding season. To address this gap, Virginia Tech and US Fish and Wildlife Service developed “Guidance and Best Practices for Addressing Human Disturbance to Shorebirds at Fall Migratory Stopover Sites” for the Northeastern U.S. Utilizing a transdisciplinary approach, integrating social, ecological, and stakeholder knowledge to create the document allowed for a more comprehensive set of guidelines, with the goal of wider utility for managers. field methods for evaluating shorebird disturbance at the site level. All of these components were integrated into a guidance and best practices document that is now available to coastal land managers, aiming to contribute to Atlantic Flyway-scale (e.g., Atlantic Flyway Shorebird Initiative) and regional (e.g., Northeast National Wildlife Refuge System) conservation goals. Additionally, a comprehensive references list in now available for ecological and social science literature related to human disturbance. 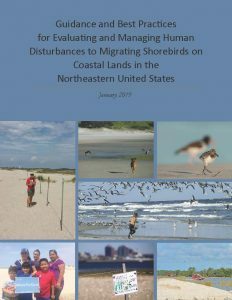 Full Document: Guidance and Best Practices for Addressing Human Disturbance to Shorebirds at Fall Migratory Stopover Sites (this is the full document where all jump links within the plan will function).